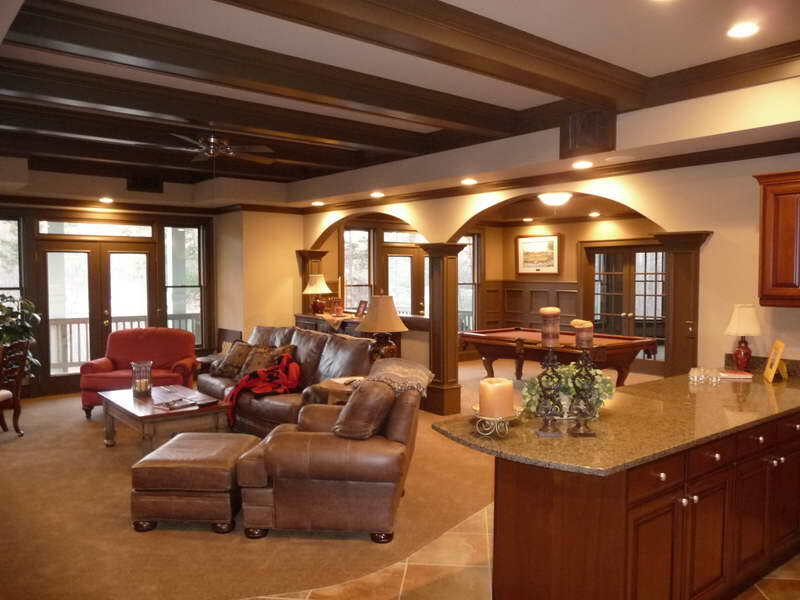 Out of your entire home, basement is the most difficult part to decorate, as it lacks natural light and air. Serving as a multipurpose place in your house, the basement may be used as a home office, gym, storeroom, guest room or study room, simultaneously; therefore, before going to design its interior, you need to keep its particular use in mind. A common mistake that people make while utilizing their basements is that they stuff it with used items. No doubt, all the commodities placed here are of high use, but proper placement matters a lot in making room look bigger or congested. Here is where you need to take the services of an interior designer in Pakistan as being a professional he can design a perfect basement for you, keeping the minute details in view. The foremost thing you need to pay attention to is, to maintain proper ventilation in your basement, so that the natural air as well as light can enter into it. For this, you need to make windows above the ground level towards open areas. Install exhaust fans with a duct pipe alongside so that these could circulate the air from inside out. Doing this, you can make your basement atmosphere fresher. Usually, basements, due to dampness and humidity, emit a special kind of annoying odor for which you cannot make your guests sit here. Being the underground room of your house, basement tends to be darker; therefore, you need to install special kind of lightings in a relatively different way so that you could fill the want of natural light as much as you can. Never go for dimmer lights or bulbs; rather choose those that will give a brighter look to your basement. You can have different kinds of lighting that can be used according to the situation and time. For instance, if you have invited some guests, brighter lights are needed there and when you are going to sleep or unwind yourself, you can switch on dimmer lights. If your house is in Lahore or any other area of the Pakistan, where summers are acute, you can go for the energy-saving florescent lights, which will not only save your money but also keep your basement’s temperature, normal. For the basement’s walls, the best decision is to pick brighter colors in shades of green, orange, red, blue and yellow. Along with giving a brighter and spacious touch to your basement’s interior, these paint colors also play a key role in making it look livelier. By consulting an interior designer in Lahore, you can have numerous choices to paint your basement. Before selecting any kind of flooring, always keep the aspect of dampness in view, because the underground level of the earth tends to be moist. Therefore, if you have planned to have wooden floor then discard this idea as moisture will ruin its look by deforming it. You can go for the vinyl floorings or can also choose from marble or brick floorings. You do not need to overdo the designing in the ceiling; however, a little decent designing can enhance your basement’s interior. Thus, keeping in view some key points and hiring a top interior designer in Pakistan, you can make your basement look perfect.